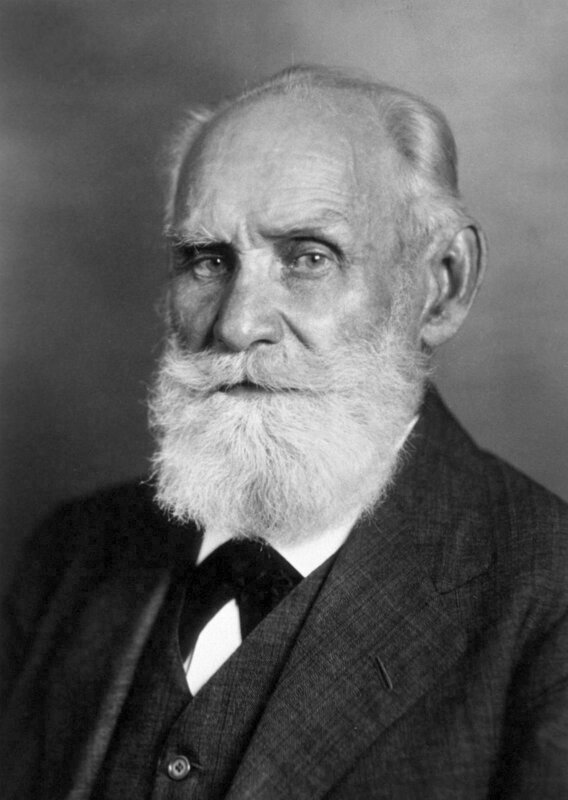 I. P. Pavlov delivered the conditioned reflex theory (1849–1936). He was the native of Russia and a famous scientist. He was provided Nobel Prize in 1904 for doing the work on the digestion process. In fact he was studying the role of the ﬂ ow of saliva in the digestion of dogs, at that time, he noticed that there is growth in the ﬂ ow of saliva of dog, when the food comes and the sound of the feet of someone taking food is heard. After observing this incident, he delivered learning related theory. Thus he became a psychologist in the age of fifty. He published two books, Conditioned Reflex and Lectures on Conditioned Reflex. This theory is known by the name of Connected Reflex, Connected Variation, and Conditioned Response. But on the basis of the experiment, done by Pavlov on the dog, this theory has been given the name of ‘Classical Conditioned Theory’. On the basis of nature of this theory it has also been given the name of ‘Response Bond Theory’. Here the main aim is, to deliver the opinion of Pavlov’s experimenting on the dog and its conclusion applied on the human behavior in the field of learning. So firstly it is necessary to understand the classical Pavlov’s classical experiment. Pavlov’s Classical Experiment—Pavlov did his experiment on a dog in a laboratory. He added a tube in the grand salivation after doing surgery which fell in a utensil, which can be helped in the observation of salivation. During this experiment, food was given to a dog on a certain time everyday. Seeing the food the salivation of dog began to excrete. The presentation of food was a natural stimulus and the process of salivation by this stimulation was a natural response. Pavlov rang the bell in the second time, which was unnatural stimulus, and the alertness of dog and twisting the ears with this stimulation was an unnatural response. After this Pavlov rang the bell along with the presenting the food, means natural or unnatural stimulus presented together, as a response the dog salivated. This was the only response of both stimuli. This process was repeated in the laboratory many times, by which food and bell means, natural or unnatural stimulus connected reflexes were conditioned. Now in the third round Pavlov only rang the bell, means only unnatural stimulus, but did not present food even then dog salivated. Here it is an important thing that food as a stimulus substituted bell as a stimulus. This is the learning of substitution. Which Pavlov named conditioned reflex. Now a days psychologists named the Pavlov conditioned Reflex Theory Classical theory. We can see in the experiment of Pavlov, that, in the starting there was no excretion of saliva and the sound of echoing bell and there was salivation process on presenting food. And after that bell sounded along with the food, in the response there was excretion of saliva, and this process was evaluated. This experiment was repeated many times and it can be seen that the salivation process begins to grow due to presenting food along with the sounding bell and then the salivation process begin to grow with the response of sounding bell. A response condition is conditioned by reinforcement. Here Salivation process can be called Psychic Secretion before giving the food. That is basis of classical conditioning. Pavlov has divided the Reflex in the two parts, Psychological and Physics reflexes. Physics reflexes process is the outcome of any special experience. That is often called conditioning and conditioned Reflex Action. When any condition is connected to any response, without any familiar relationship, is called Reinforcement. Thus relationship is a common process, in which there is a mechanical substitution of one stimulus along with another. Although, it can not be changed in the Reflex action, yet it can be connected. In the other words, besides main stimulus it can be brought into light with the help of other stimulus, like connecting the excretion of saliva with the food bell. Therefore Pavlov has also called the food a conditioned stimulus. The bell sound presents two things. In the beginning of the teaching it was conditioning stimulus because it was used in the conditioning of salivation process. When it was conditioned, it was called conditioned stimulus, because now it had an affect which was not present in it, means awakening the response of salivation process. After conditioning it was called conditioned response, because it was now connected towards the bell sound. The conditioned stimulus(food) and conditioning stimulus( bell) were mixed together and this process of connecting them is called bonding. Pavlov has commonly called such stimulus and responses natural process. In the response of saliva excretion after seeing the food, the food will be called a natural stimulus and the excretion of saliva will be called natural response. Some times, some other unnatural stimulus is presented at the time of responding of natural stimulus, as a person with the food. According to this theory when any other unnatural stimulus present many times along with the natural stimulus, a man does natural response towards that other unnatural stimulus (a man with the food). This type of connection is called Higher Order conditioning. Higher Order Conditioning—Pavlov found on extending his experiment that other unnatural stimulus also does the work of reinforcement after presenting it along with the unnatural stimulus. Awakening natural response with the unnatural stimulus is higher natural response. Pavlov presented unnatural stimulus as the rays of light when the dog started salivating process on hearing the bell in this experiment. It was done many times, after some times it was noticed that dog salivated to see the rays of light (other unnatural stimulus). In this experiment the process of salivating to see the rays of light is higher order conditioning, because in the beginning, other unnatural (the rays of light) stimulus was not presented along with the reinforced or natural stimulus. It was found in the experiments that delayed conditioned process is most affective, because soon connection is established between both stimuli in this closeness of timing. If there is a great time interval between both stimuli in this condition, conditioning becomes impossible. Conditioning does not happen in this condition. Extinction—Pavlov stopped the presentation of conditioned and unconditioned stimuli on the basis of time closeness in his further experiments, means only the bell was rung but food was not presented consequently, dog stopped the salivation process on sound of the bell. This was called extinction. It was found after evaluating each effort of dog in the salivation process on the sound of bell that the quantity of salivation was continuously less. Hence extinction finishes the conditioning process. And it makes a weak the association of the sound of the bell and salivation as conditioning reinforces that association. If the same conditioned and conditioning stimuli are presented many times, soon on the basis of time closeness, conditioning is established after establishing the relationship between both stimuli as disappearing or forgetting something, the process of remembering it after it happens again. For example when food and bell are not presented altogether, it is seen the salivation of dog is stopped on the sound of bell. This process is extinction. But after presenting the food and bell sound in the time closeness again, the dog starts the salivation upon hearing the sound of the bell- This is Spontaneous Recovery. Inhibition—Inhibition is that process in the function of establishing conditioning, in which any other stimulus originates inhibition in the response. It can be caused by two reasons—(a) Internal Reason— in which any internal inhibition element does work, and (b) External Reason—in which any external inhibition element of environment does work. Generalization—Generalization is that process in which stimulus related to conditioning response seems same. For example, if a dog has learnt salivation on the bell sound, he salivates on the sound of metronome, because both have the same sound. Reinforcement—The difference between conditioning process and extinction process is only presenting the conditioning stimulus (food). It is clear from these differences that association is going on reinforced or weak. It is necessary to have reinforcement for making conditioning response. A famous theory of learning was developed with the experiment of Pavlov’s theory. Psychologist Skinner and Hall have forced this side of learning, so their theory was called reinforcement. Learning by Conditioned Reflex—Learning by conditioned reflex can be understood by the classical experiments of Pavlov, which has been already described in the last chapters. This is the beginning and appropriate example of learning by conditioned reflex, which should be presented for the better understanding of the students. Thus people learn by the conditioned reflex process. This connectionism is the main reason for the different habits like-fear, hatred, love, in children. For example- Child’s fear from the darkness is not natural, but it happens when he is connected with the unnatural stimulus. Practically a Psychologist Watson did an experiment on the child, who had not fear from the animals and pleased much playing with the rabbits. One day when he was playing with the rabbit, a fearful sound was sounded. Child was frightened with it. This sound was repeated many times when he played with the rabbits. After some time he began to frighten even seeing the rabbit, when sound was not present at all. It is easy to learn only animal by connectionism. A man learns less through this process along with the age growth. It does not play any important role in learning difficult subjects. Connectionism or conditioning is only possible in special situations. These situations are unnatural, while learning is possible in natural conditions. There is no stability in learning in this method. This method forced very much for practice and a different type of greed. The process of learning becomes mechanical after presenting unnatural stimulus many times, which does not have any newness. It is clear now that this method or theory does not explain learning properly, but according to some psychologists this method is very important in the education and an important method in the learning.